The Ravenna 4 is a traditional stability shoe with a lovely heel cushioning and a great transition. My flat foot really appreciates running in them - too bad for the narrow toebox. Runners looking for a traditional running shoe with both good cushioning and decent stability. Runners with flat feet. Defined by Brooks as a middle child between cushioning and stability, the Ravenna 4 is a recently new shoe franchise (4 years old). This is the first model of the Ravenna I try. Being now “orphan” of my long time favourite Nike Structure Triax I am actively seeking for a new stability shoe to support me during long runs. At 110$ and 11 ounces it is exactly the same kind of shoe. I have read good things about the past versions so I was eager to try them on. The Ravenna 4 is a very traditional looking running shoe. To be honest I wasn’t blown away by the looks. The black/green colorway I received, coupled with highlighter-yellow shoelaces, doesn’t make it a very subtle looking shoe, but for the wrong reasons. Colors aside, the Ravenna felt “traditionally heavy” in my hands and the upper quite rigid. I was puzzled: I heard so many good things about the Ravenna, but this shoe was leaving me a bit unimpressed. Put my feet in them, I was comforted in feeling a very flat arch – a godsend for my flat foot. The toebox felt a little too narrow for my taste: I have normal width feet and I prefer to have a little wiggle room for my toes. Anyway – time to try them on the road. 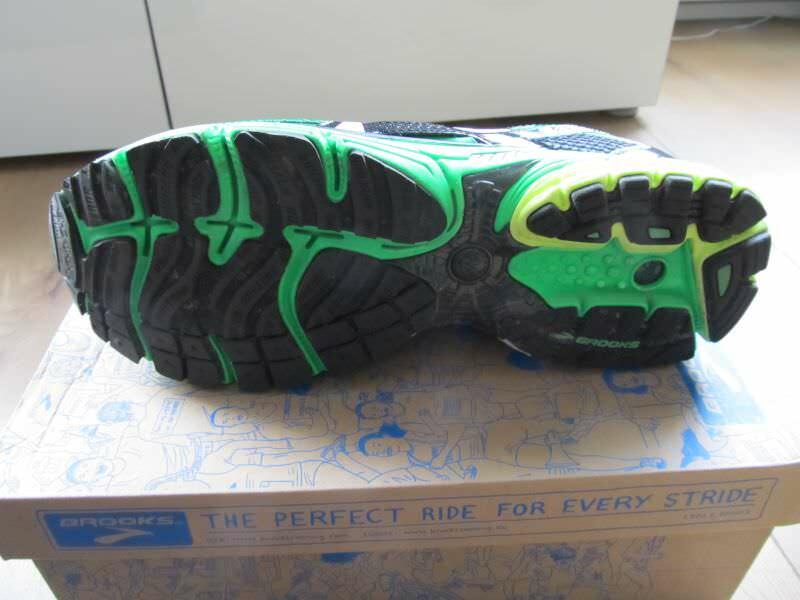 The sole of the Ravenna 4 is the same as in the previous version so I imagine you can expect a very similar ride. Constructed like a very traditional stability shoe, the midsole is made of Brooks BioMoGo foam with a dual density insert in the medial side (quite short), a solid midfoot shank and a decoupled heel that is probably my favourite part of the shoe. The heel is split into two parts: one that extends under the lateral (external) side of the heel and one that includes the back and the medial (internal) side of the heel. When my foot hits the ground would naturally tend to collapse on the internal side, but the cushioned, external part of the heel prevents the foot from collapsing in. Then the harder foam placed directly under the arch prevents it from collapsing. The midfoot shank (the plastic piece that wraps the shoe under the arch) is solid and substantial: the shoe has good torsional stability. The forefoot is quite rigid but flexes in the right places. After toe-off, it snaps back quite fast. I am very very happy with the sole unit of the Ravenna 4. To be honest I find it very similar to my beloved (but gone) Triax 15. It has a soft cushioning in the heel and midfoot that is my favourite part of the ride (a peroneal tendon injury will let me know immediately if a shoe is too “hard” for me). The forefoot is harder (less cushioned) but not so that you slap the pavement in a painful way. It is actually quite enjoyably responsive and makes the shoe feel faster than I probably am. Let me get it out of the way: I really don’t like looks of this upper. They look dated and the color choice is questionable – at least in my green highlighted version. Is it a shallow judgement? I don’t know, when I buy stuff for 110$ I also like to like it aesthetically. I am a shoe nerd, so maybe I pay attention to the looks of a shoe more than most people. Anyway, let’s get to the fit. Flat foot bed, accommodates my flat foot very well. A “band” wraps the foot around the midfoot and secures the foot. A quite narrow toebox. I didn’t find it painful or extremely tight – but if you like to have a little wiggle room for your toes, this is not your toebox. I like them, I am running in them quite a bit. The Ravenna 4 is a very traditional stability shoe, in a period where people and companies are turning their back to this category. Unfortunate color choices aside, I am very happy with this shoe. 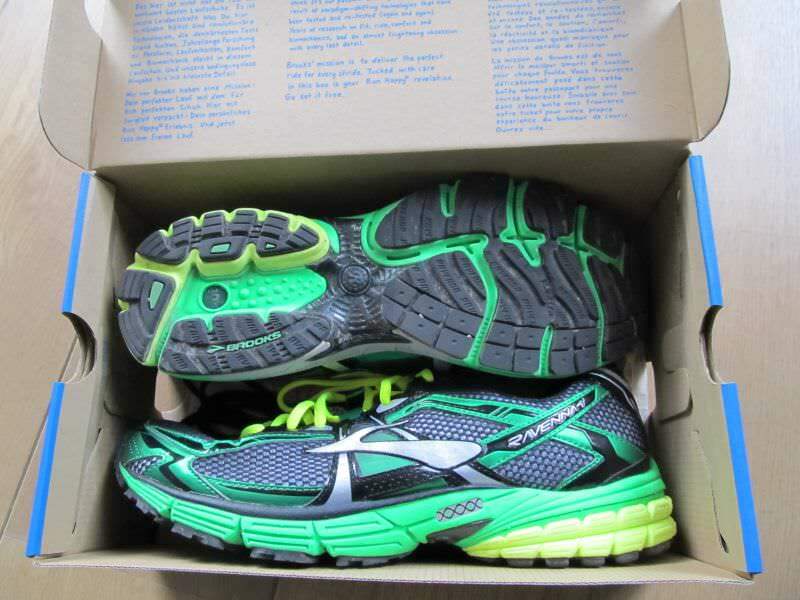 My reference stability shoe is the Triax 15 and this shoe is really similar. 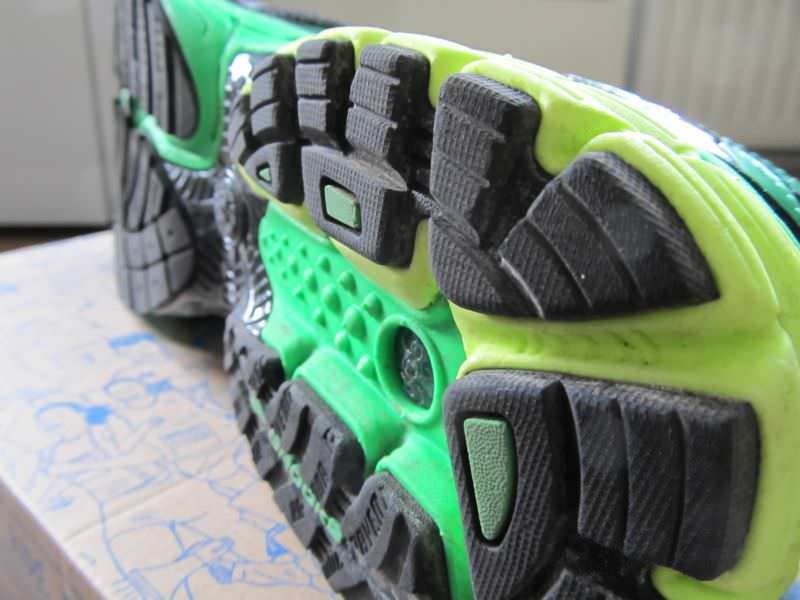 It has a less cushioned forefoot and a better midfoot shank. I can run on cambered surfaces or light trails and don’t feel my ankle twisting dangerously. I feel I can recommend this shoe to many flat feet runners looking for a high-mileage trainer: the flat insoles will not hurt your (lack of an) arch, the soft cushioning in the heel/midfoot will be forgiving on your joints and the upper will keep your foot locked in without slippage. It is a no-nonsense shoe: nothing is added that is not needed – the upper feels quite spartan (no memory foams, no seamless construction…) with only some padding around the heel. We thank the nice people at Brooks for sending us a pair of Ravenna 4 for testing. This did not influence the outcome of the review, written after running more than 50 miles in them. 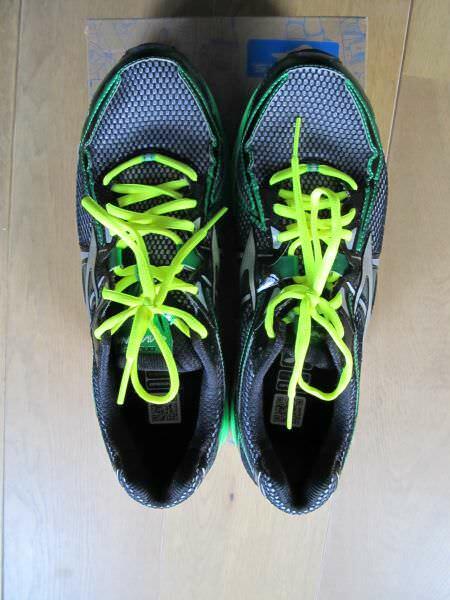 As a newbie in terms of running (8 months) I was very unsure what trainers to invest in and totally boggled by the sheer amount of choices available, 6 months ago I joined a running club to get a better idea and chat to experienced runners, looking round the club it seemed everyone was in Asics or Brooks with the odd Nike or New balance. 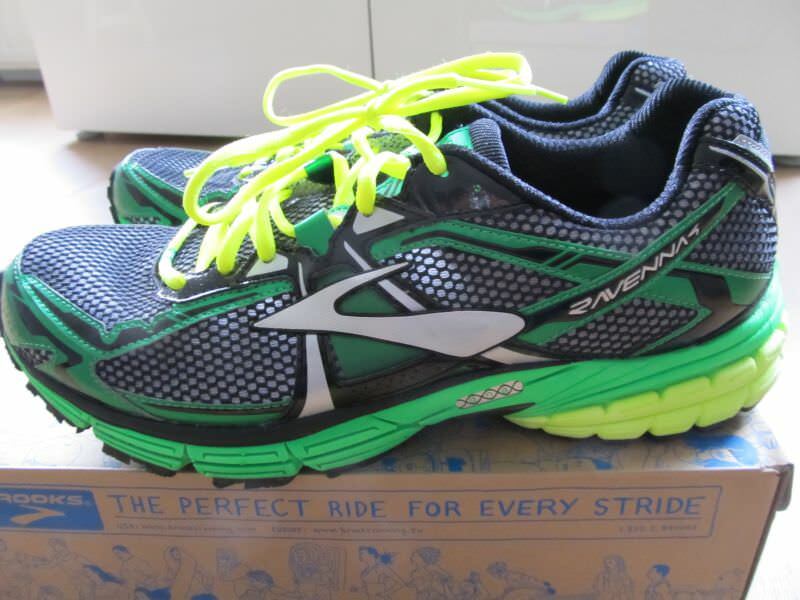 I went to my local running shop and had my gait analysis done, the result was Im a neutral to slight support needed (due to an old cycle ankle injury).so I was put in the Brooks Ravenna 4 (in blue) and have to say they are amazing! Have been using them for the past 5 months now and I’m running 20+ miles a week on Road and light trail with no discomfort at all ! almost feels like I’m bouncing along. I don’t normally write reviews but felt compelled to do so as iv been so impressed with the Ravenna 4, so much so in fact iv actually bought a 2nd pair already so can switch when my current ones get tired, a truly excellent shoe! 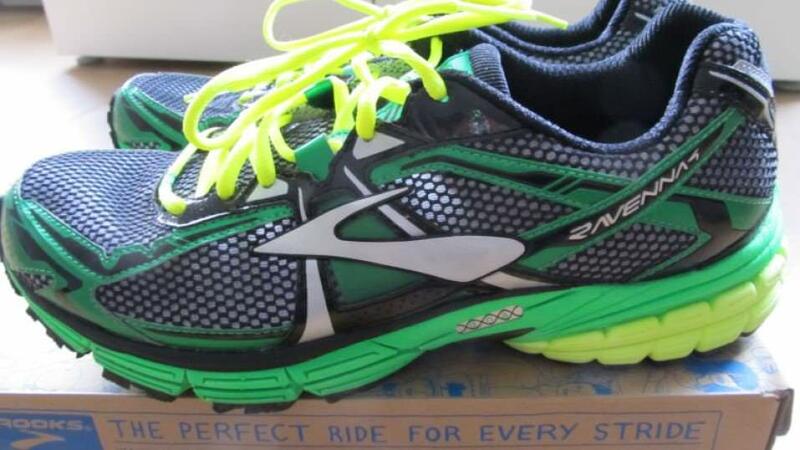 Brooks Ravenna 4 best shoes ever I am in army and every day i am running 6-7 mile and I use to run all kind of terrains i run tough murder too i had those for more than 10 months now and still they keep going. i will suggest this shoes to every one you are not going to get disappointed.It is worth the price. I got these shoes about 3 weeks ago and they are great for flat feet, as hypothesize by Loda. These shoes keep you on running without any discomfort or aching. I greatly recommend these shoes to any flat foot runner, if the price is too high, I like asics or a high arch Nike. It’s good replacement for Nike structure. I ran in Air Structure for 19 years,but now I switch to Ravenna 4. excellent on rough terrains- as well on tarmac. 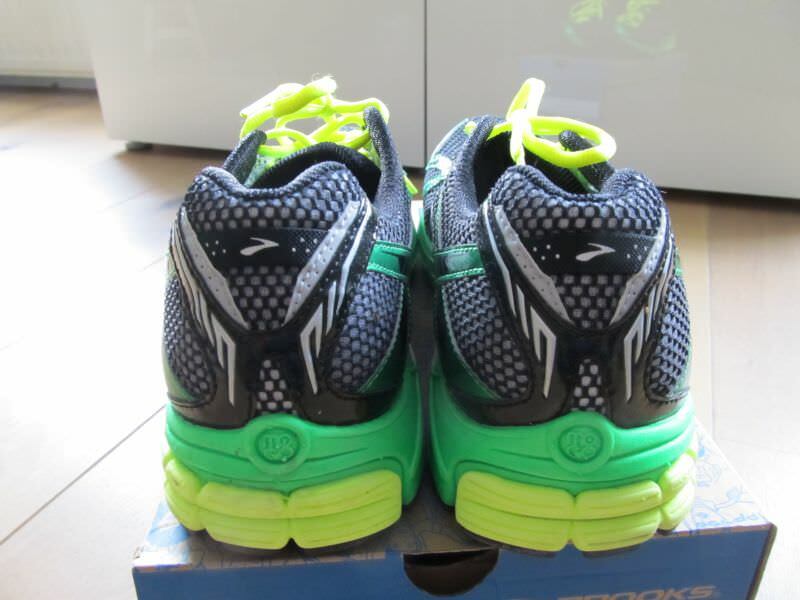 my first decent quality runners were asics 2160, then switched to brooks adrenaline 12, and decided to go for a bit lighter stability version – guidance. Ravenna 4 was my choice I’m very happy with, but started thinking about neutral with v. little support and extra cushioning. Moreover for the last few months i have changed the technique with more focus on mid-foot strike. So perhaps it is worth trying? the choice is not easy, I’m 97kg/1.97m/low arch but very little pronating/running in US15 – (US14 would fit but second toe is the longest 🙂 ). doing up to 21km per run (10km in average) Thinking about Mizuno Creation 14, any other idea? 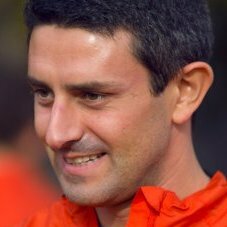 If I wear a 10 in Asics, do I order a 10 in brooks? How does the sizing match up? Thank you to everyone who has entered a reply to the Brooks Ravenna 4 shoes. I did purchase these b/c I have flat feet, and I can feel a slight arch in one of the shoes. It is minimal, but it is not comfortable. The shoes felt good when I had my first run on the treadmill to test them, but I believe I will return them since I can feel the arch in the shoe. Just getting back to distance running, and these shoes have eliminated those shin splints that were holding me back. These shoes were recommended after going to a specialty store. The staff watched me run for about 10 seconds and then immediately recommended this shoe. Had my first run in them today and I am feeling fine. The store did not have those electric green ones. My shoe is mostly white with an accent color that is a red being dubbed “lava” by the good folks at Brooks. No matter how funk-a-delic they look, these are fun to run in. I have been using the ravenna shoe since it first came out (Ravenna 1 model) I ran on a treadmill at a store and this is the shoe they suggested for the way I run. It is worth the expense to get a good pair of shoes. My knees and ankles do not hurt if I use these shoes and make sure I get a new pair when the tread wears down. Got mine today, I’ve been using the GT 2000 Asics, but it is too hard and had issues with knee pain and pain in the outside part of my right calf. After trying several shoes in a running store, this one feels the best while running in the treadmill in the store, I will try in pavement and check if this one are the best. 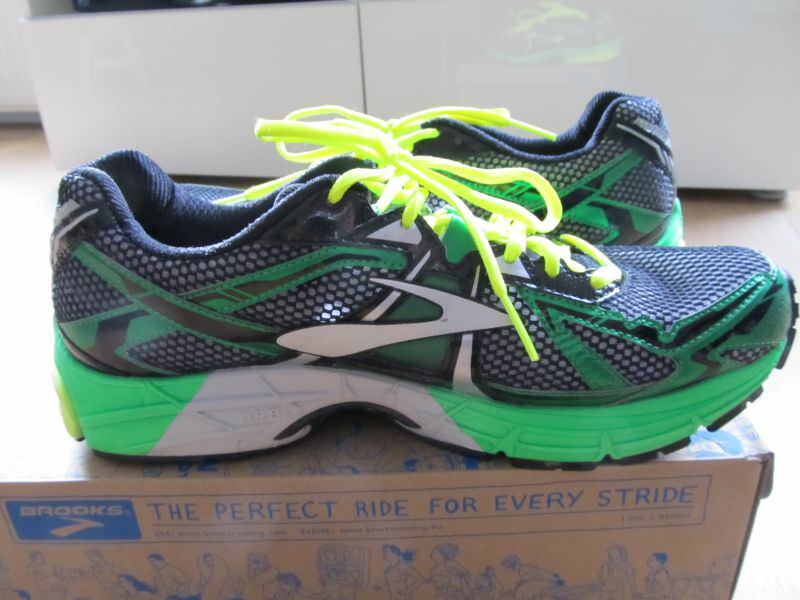 I have recently picked up a peroneal tendon injury running in Mizuno WR15’s, and it has been suggested I need a shoe with more stability and support. I too suffer from a flat arch, and wonder what you might recommend? I’m imagining you have (almost inevitably) run in WR15’s also, so would know how they stack up in comparison. I’m not in a position to go out and buy several pairs to compare unfortunately. I would really value your input on this, it’s difficult finding a subjective opinion on running shoes, everyone seems to have an agenda! I thought I would mention that the nike structure 15 has been designated a classic at roadrunner sports and so is now available. I have ran in Asics for years. These shoes have gotten some really good reviews, I will have to consider them.